Get a 212 Hyper with a cheap SP fan and save yourself 80 bucks. I only got this because of case limitations. Lights don't do much for me and its kinda ugly looking for a upside down pyramid. If you need performance get a Noctua D series and two fans mean less noise *** well when controlled. I am usually really good at getting a good cool PC environment, but with this dispersing air in all directions it became more of overkill with positive pressure and hope the air gets forced out. Was surprised to find this cooler included with my FX-8350, didn't think it had RGB LEDs. Super quiet fan. Tried a cheaper no brand cooler and ran Prime95, then installed this one and ran Prime95 again, and this one keeps the CPU cooler by at least 10 C, and much more quieter. The cables to connect to the fan to change the LED colours or animation are not obvious. I connected just one in my build to the USB header, set my colour, and then disconnected the cable. Even after no power, the fan remembers its RGB setting. 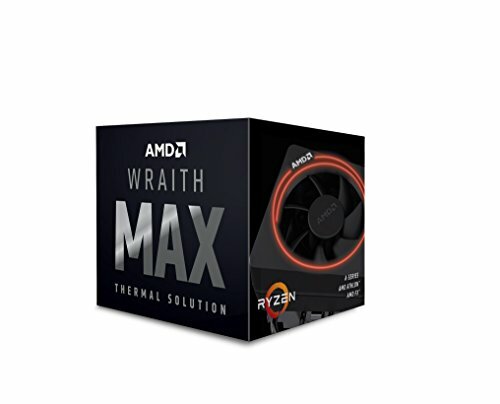 I bought the AMD Wraith Silent cooler from amazon for $25. Mine doesn't have the flashy rgb ring, just a nice illuminated amd logo. Its worked great so far, keeping my CPU cool and it is fairly quiet. It's a monster though and ram fits very closely once everything is in place. Compared to the stock cooler that came with the fx 8300, this thing is well worth the 25 bucks! This cooler is amazing! It is ultra quiet, even during a stress test, and gets decent temperatures. When overclocked, my processor doesn't get past 75 degrees. It looks really nice, too. The RGB ring around it adds a lot of beauty to this part. 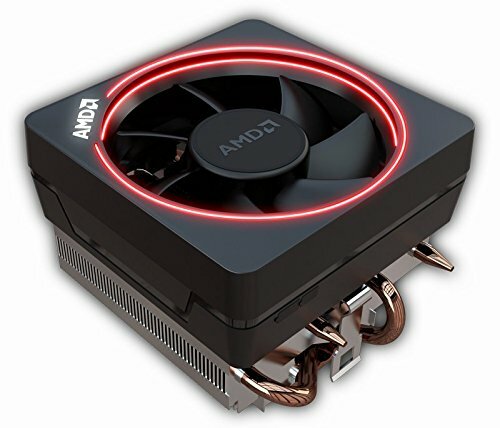 I wish the AMD logo on it was RGB also, but sadly it just appears white and there is nothing that you can do about it. Quiet and has LED lighting. Looks decent. Cools well. Absolute pain to install, but doesnt need a screwdriver.